My experience with Apollo Cradle was outstanding. The team is dedicated and Dr Phani Madhuri is highly qualified and articulate. My delivery was perfect, seamless, and there were no delays whatsoever. The hospital is remarkably clean at all times. The entire experience was flawless and the nurses supported me throughout. I did not face any problem or hassle during my stay. Thank you, Apollo Cradle. My delivery was under the care of Dr Phani Madhuri. She is highly knowledgeable and very kind. She guided me at each step of the way, making my experience far less stressful than it would have been without her support. Her entire team is dedicated and address all queries to make sure the patients get the best possible care at all times. Kudos to team Apollo Cradle for such an amazing service! I was under observation at the Apollo Cradle. The doctor in charge was Dr Phani. The whole team at the Apollo Cradle is very supportive. The nursing staff was kind and made me feel like one of their own. The food was amazing. I would recommend Apollo Cradle in the future. Dr Phani Madhurk was my doctor at the Apollo Cradle. She is an incredible doctor and a caring woman. During my whole stay, the support staff was very helpful, which made my stay more comfortable. I would recommend Apollo Cradle to all my friends and family. Apollo Cradle is very good hospital to deliver, was very much satisfied with services, staff and doctors. 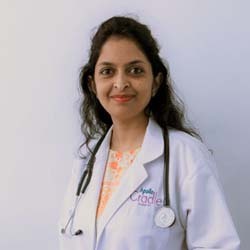 Good standards, very responsive staff and medical personal @ Apollo Cradle Jayanagar; My doctor was – Dr Phani Madhuri who took care very well.